Sometimes mobile phones don’t work as expected and sometimes, they don’t work at all. Today, my Nokia Lumia 1520 decided not to boot up! It even denied to load the battery, all I’ve seen was the black screen. What a good start for the day. First web search brought information concerning different methods, to “revive” a dead Lumia phone. 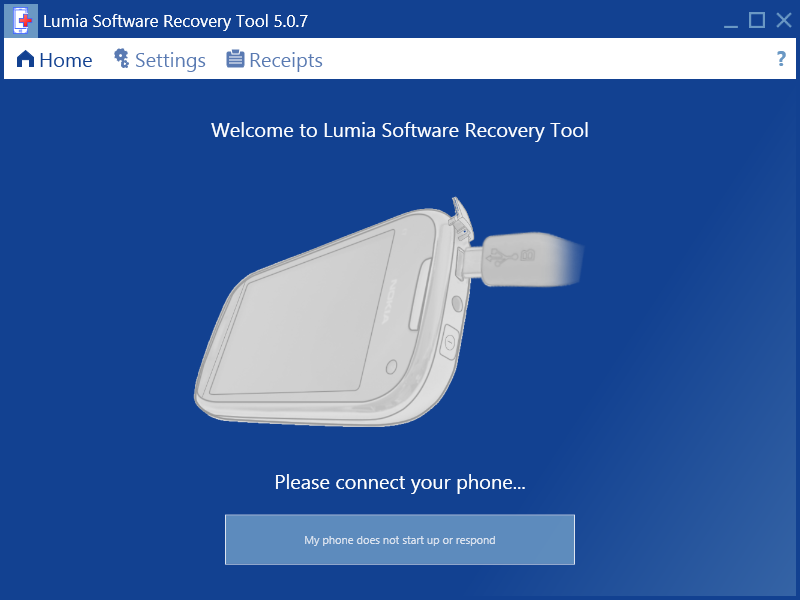 How to Soft-reset your Lumia? Press the Volume-down + Power button and hold it for about 10-12 seconds. The screen goes black and your Windows Phone should boot, by showing the Nokia logo, back to a normal state. How to Soft-reset your HTC 8X & HTC 8S Windows Phone? Press the Power button and hold it for about 8-10 seconds. The screen goes black and your Windows Phone should boot, by showing the HTC logo, back to a normal state. How to Hard-reset your Lumia? Attention: By doing this, you will reset your phone to factory settings and you will lose all your data (except these, you already synced with your Microsoft One Drive account). Switch off your phone (if it isn’t already off). Press the Volume-down + Power + Camera buttons until your phone starts vibrating. Release only the Power button but hold down the Volume-down + Camera buttons for at least 5-7 seconds. Your Windows Phone should boot, by showing the Nokia logo, and the initial setup process (factory fresh installation) should start. How to Hard-reset your HTC 8X & HTC 8S? Press the Volume-down button and hold it. Press the Power button quickly. Release the Volum-down button as soon you see an callsign on the screen. Press in a sequence: Volume-up, Volume-down, Power, Volume-down – press not simultaneously! Your Windows Phone should boot, by showing the HTC logo, and the initial setup process (factory fresh installation) should start. This tool can be used with Lumia phones and HTC One running Windows Phone 8 or newer). After downloading and installing the tool, it starts up by showing this screen, which tell’s you to connect your phone to the pc. And… it helped. I don’t know why, but my Lumia has shown that it is loading it’s battery by having a blinking Windows logo. Gladly, I had not to factory reset my phone. I assume that my phone had a complete “battery crash” down to zero energy and the Lumia Software Recovery tool sends some special signals via USB to it, to revive it from a special “dead” system state. Summed up, if you Lumia seems to be dead, try this tool, before you return it for warranty or something else. It may help you out. All about IT-business, software development, graphics and design, game development, new technologies and innovation.